Our Bankruptcy Attorneys have 40 years’ experience helping people and businesses in Berks County around Reading, PA get their finances back on track. We understand the emotional stress financial problems can cause you. Our experienced Bankruptcy Attorneys and Legal Team will help you get a fresh financial start. you worry about your credit going forward. Does any of this sound familiar to you? It should. We’ve been helping people just like you in Reading and Berks County work through their financial difficulties for a long time. We’ve seen, heard and understood what people go through in a Bankruptcy. We know what you’re going through as well. And we can help. Let’s begin by discovering a few basic facts about Bankruptcy. As experienced Bankruptcy Lawyers, we’ve learned some things you should know. You’re not alone. Unmanageable debt is a reality thousands of conscientious, hard-working Americans face every day. 316 people filed for Bankruptcy in Berks County so far in 2018. 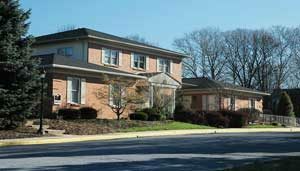 794 residents filed for Bankruptcy in Berks County in 2017. Bankruptcy may not be your only way to fix your finances. We’re Bankruptcy Lawyers. But we’re familiar with alternatives that may apply to your situation. There are two different Types of Bankruptcy, and it’s important to know the difference and choose the right type. Bankruptcy is not the end of the world. Bankruptcy allows you to gain a fresh start and get you back on your feet. You won’t lose all your assets. Your credit will recover over time. You don’t have to be embarrassed, and you’re not a failure. Some of the most successful people in Reading and Berks County have gone through a Bankruptcy. You learn from your mistakes and move forward. Personal and corporate Bankruptcy includes many complicated processes. Trust our expert Bankruptcy Lawyers to help you get your finances back on track. Read on to find out why. What Debts are Eliminated by Bankruptcy? 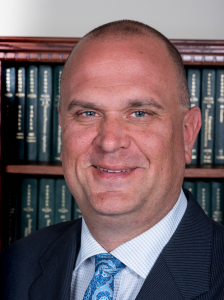 My name is Larry W. Miller, Jr. I’m a proven expert Bankruptcy Lawyer. I help clients in Berks County around Reading, PA get their finances back on track. Call me today. How Does Bankruptcy Protect Me From Creditors and Debt Collectors? harassing phone calls from creditors and debt collectors. Chapter 7: In this type of Bankruptcy, the court liquidates your assets to pay off your debts. Some debts may be discharged or forgiven as part of the process, although some debts are not dischargeable. Chapter 13. In Chapter 13 Bankruptcy, you agree to repay your debtors, usually within three to five years. Deciding whether to have your debts forgiven or rearranged is an important decision with long-term implications. There are limitations of each type of Bankruptcy. For example, with Chapter 13 Bankruptcy, you may not be able to get relief if you have no way of meeting your obligations. The process can also take up to five years. However, the payments can still be a challenge even if they are designed to be more affordable. Finally, not everyone qualifies for Chapter 7 Bankruptcy. Your attorney can tell you whether you are eligible and help you determine how long your credit score may be affected. You may not be able to pay your debts, but you don’t necessarily have file Bankruptcy. Our Bankruptcy Attorneys have experience with alternatives to filing Bankruptcy that avoid many of the long-term adverse effects on your credit. We may be able to help you negotiate with your creditors or find other ways to deal with and meet your financial obligations. lastly, provide the emotional support you deserve to lessen the stress everyone experiences when they’re under financial pressure. You don’t have to be on the verge of losing your home, retirement accounts or other significant property before contacting our Bankruptcy Lawyers. Having financial difficulties is like a disease. The earlier you treat it, the shorter the recovery. It’s the same with your finances. Delaying getting help can hurt your financial situation further. You lose even more making the road to recovery even more difficult. So, if you find yourself getting into financial trouble, we have the experience to help you get back on track. 40 years’ of experience helping Bankruptcy clients in Berks County around Reading, PA.
make sure you walk away knowing where you’re at, what will happen next, when it happens and that things will get better and you’ll be alright. The Bankruptcy Lawyers you’re looking for are right here waiting for you. Contact Us Online or Call Us at 610-670-9000 today. We’ll start helping you get your finances, and your life, back on track. 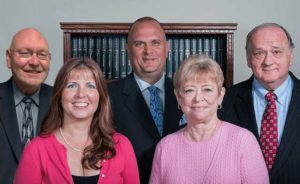 The Miller Law Group, PLLC represents individuals and businesses throughout locations near Reading Pennsylvania and surrounding areas in legal matters such as, Business Law, Family Law, Estate Planning and Trusts, Civil Litigation, Trademarks and more. For over 40 years, our firm has worked on a single driving principle to treat our clients as we would like to be treated. Contact us online or by phone at 610-670-9000 to arrange for your confidential consultation.